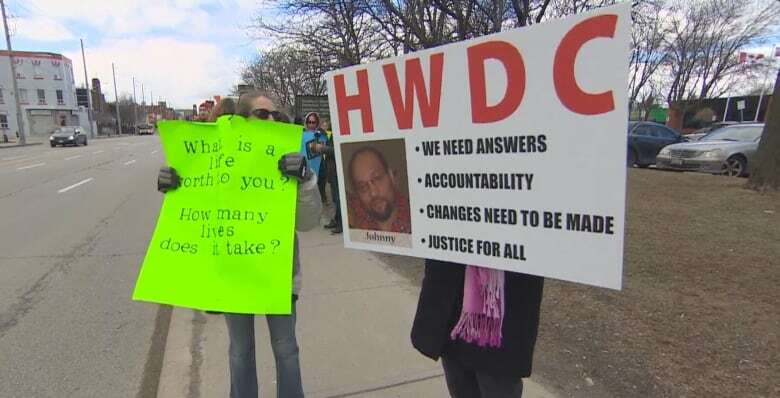 With lost loved ones on their minds, a group rallied outside the Hamilton-Wentworth Detention Centre on Saturday, demanding changes to the correctional system. 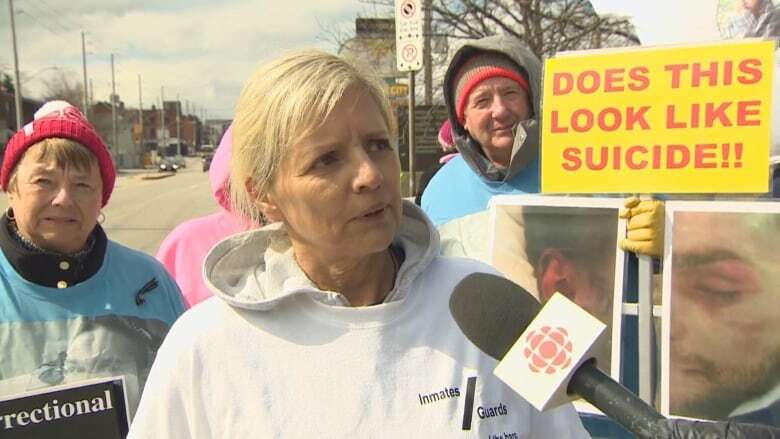 "My son's death is not going to be in vain," said Judy Struthers, who lost her son Justin inside the Elgin-Middlesex Detention Centre in 2017. "Something has to come out of this." 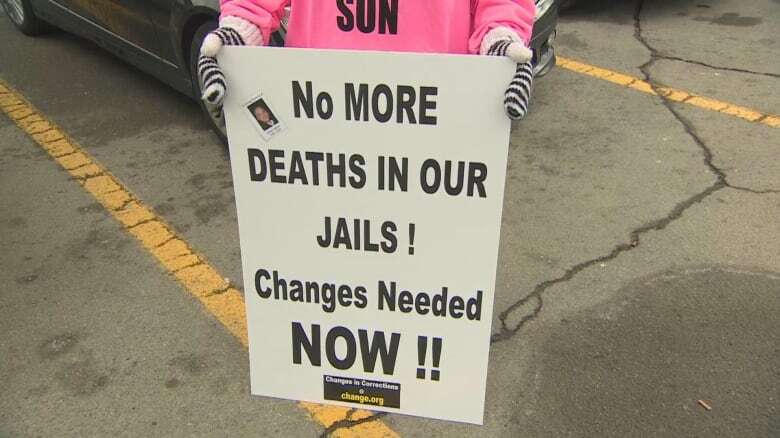 It was at the same Hamilton prison where April Tykoliz lost her brother Marty, who died in hospital after an overdose. 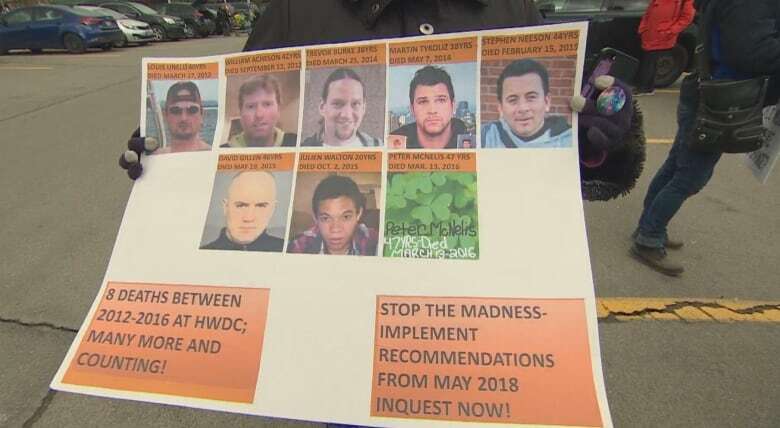 Her brother was one of eight overdose deaths at the HWDC probed during a six-week inquest, which resulted in 62 recommendations to make the jail safer. Ten months later, families are still waiting to hear what changes will be made. "Nothing's changed," said Tykoliz. "In the meantime, lots of lives could have been saved." 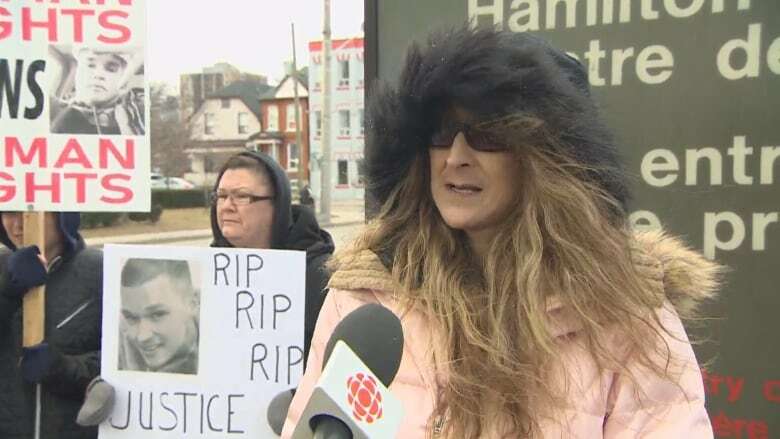 More inmates have overdosed and died inside the Barton Street jail in Hamilton than at any other provincial corrections institute in Ontario over the last several years, CBC News has learned. This in an Ontario-wide issue, Tykoliz says. "My little brother was 32 years old when he was found [dead] in his cell," said Lynn Pigeau, whose brother James died of an apparent overdose at the Elgin-Middlesex Detention Centre last year. "He should still be here." 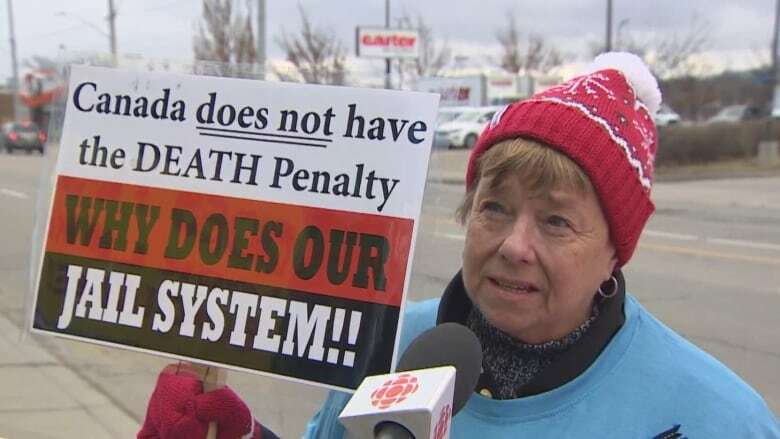 She and Struthers are part of weekly demonstrations outside the prison in London, and showed their support in Hamilton this weekend. She said guards need more training, facilities need better staffing, and inmates need to be assessed upon arrival for mental illness and addictions. 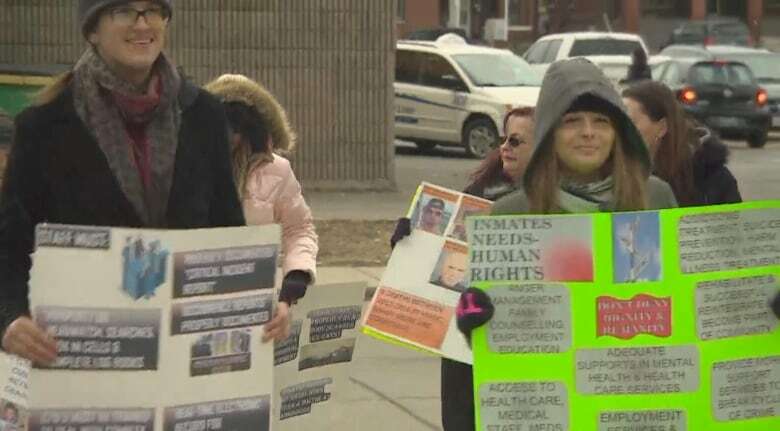 Struthers said their demonstrations have been gaining a lot more support over the last few months, since the trial for the 2013 murder of Adam Kargus, which ended in an acquital and a mistrial. In late May, they plan to walk from London to Queen's Park in Toronto to bring awareness to their cause. They had also planned to protest outside Sunday's Juno Awards. "Something's going to have to happen. Before we go away," said Struthers, who talked about mental health and education services for inmates. Tykoliz said there are many changes that need to be implemented in corrections, including enhanced training to spot potential overdoses, and better communication, education counseling and job training for inmates. In an earlier email to CBC News, Ministry of Community Safety and Correctional Services spokesperson Brent Ross said the ministry only received the jury's recommendations in November, meaning they're still being reviewed. He said the ministry will respond to the Office of the Chief Coroner in May. But at Saturday's rally, the message was clear: changes need to happen now. "Wake up, step up, let's go," said Pigeau, who says changes are needed "on both sides of the bars" to make prisons safe. NDP MPP Monique Taylor said there's a crisis happening in Hamilton. Mental health and addiction supports need to be in place on the streets and in correctional facilities, she said, and the inquest's 62 recommendations need to be implemented. "It can't sit on the shelf and collect dust," said Taylor, the MPP for Hamilton Mountain. "The government needs to step up and make sure that that they're saving lives." Ross said the ministry is committed to addressing problems in Ontario's corrections system. "The ministry's commitment is to ensure HWDC, and indeed all correctional institutions, are safe and professionally run," he wrote.